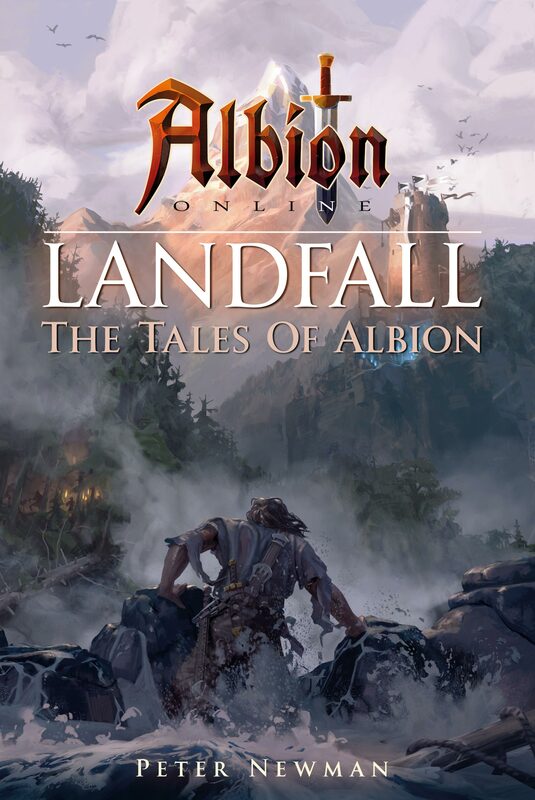 The Albion Online world has gotten bigger, as today the first Albion Online tie-in novel, "Landfall“, has been published. In the past weeks and months, we have have already told you of the work on our first tie-in novel called "Landfall“. The writing process on the novel itself and our lore section finally came to fruition. Accomplished UK author Peter Newman worked tirelessly on the story and its details. Now, today, is the day we all have been waiting for. The novel has officially been published and can be acquired as paperback or ebook through Amazon. The story follows the experience of several characters as they arrive on the shores of Albion, an experience that is very much alike to those of new players in our game. Where do you start? What do you want to do? Which goals do you want to achieve? Who are your friends and who your foes? The story is filled to the brim with references to actual players, guilds and events from the game – another layer of how stories in Albion are told. “Albion. Land of mists and mysteries, where mankind resembled gods. But these gods were flawed and they turned their powers on each other, making rivers of blood and birthing horrors we were not meant to know, until giants battled demons over the fate of the world. And then, as the fighting reached its peak, a great power reached out and Albion simply vanished. For over a thousand years it has been hidden from the eyes of men. When the impenetrable mists hiding Albion began to lift, the King of the Old World sent a rag tag group to explore and settle there. Initially, reports of wonders and wealth came back, then, without warning, all went quiet. How do you like the stories told in Landfall? Share your opinion on our forums. I'm looking forward to giving a good read for my review!